This conference will bring together students and early career researchers working on hydrogen and fuel cells, to present the progress and challenges in their respective areas of research. An additional feature for this year, is keynote talks from alumni of the fuel cell DTC and CDT where they will share their experience and career after the PhD. The discussions will cover new and exciting opportunities for hydrogen and fuel cell research. This conference will be held prior to the H2FC Hub’s 2019 Conference: “The vision for H2FC in the UK” (30 Jan – 01 Feb 2019), which is a highly-subsidised residential conference composed of only key-note presentations from international representatives in the sector. We hope to see you at both conferences to present your work and to join the discussions on the future of the sector in the UK. Please Click here for the Conference PROGRAMME. Please click to download Book of ABSTRACTS. Please register and pay via the online shop here! Y11 on the map here! Car Parking: Please note car parking spaces area available on campus and parking permits will be made available at the registration desk. 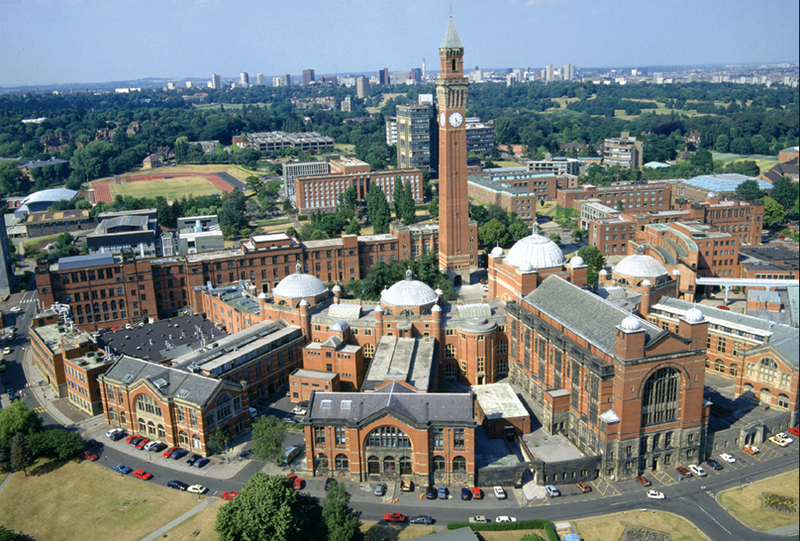 Travel: The University of Birmingham lies to the southwest of Birmingham, which is located in the heart of England with good access by road, rail and air. The University has its own train station and takes 10 minutes to reach from Birmingham New Street Station with regular intercity services running between Birmingham New Street and the University on the Redditch/Bromsgrove Line (approx. every 10 minutes). Visitors to University of Birmingham have a number of options when it comes to travelling to the city. For information about getting to University of Birmingham please see here! A range of hotels are available including accommodation on the campus at University of Birmingham which can be found here! In addition to this there are many hotels situated around Birmingham City Centre with easy access via train (from Birmingham New Street Station) to the University.